I don’t really know how to write a tribute post. I have never had to write one. And to be honest, I never would have thought my first one would be for one of my dearest friend’s baby girl. It still seems like a blur to me. The whole thing. From start to finish. Finley would have been 1 month old this past Sunday and thinking back on our experience, Tim and Noelle should be reaching the exhaustion beyond measure point due to late night feedings and diaper changes. Not reaching an exhaustion point from the emotional roller coaster that they have been on for the past month. I just doesn’t seem fair. It’s not fair. But I know none of us can change any of that. What we can do is be there for Noelle and Tim when they are ready to move forward and live every day with them to the fullest. We can cry and laugh with them. We can remember with them. I know that I will never forget the day Noelle texted me and said that she was being admitted to the hospital and that Baby Finley would be here soon. I will never forget the gut feeling I had that something wasn’t right. crying with the thought of what the next day would bring. I will never forget rushing to the hospital to see Nomo and Tim that next morning. I will never, ever, ever forget meeting Finley for the first time. She was so perfect with her pink skin, cute nose (we still don’t know where that came from ) and sausage toes. I will never forget kissing her forehead for the first time and thinking that she looked so much like Everett and thinking that I couldn’t imagine how scared Tim and Nomo must have been. I will never forget watching them and thinking they were the strongest people I had ever had the pleasure of knowing. I will never forget seeing their first family picture and smiling. I will never forget spending time with Nomo and Tim’s family and friends and feeling like we had known each other forever even though some of us had just met. I will never forget how everyone bonded together from day 1 and the “Team Finley” fan club was represented all over the country. I will never forget when Tim texted me this picture of Finley and Noelle getting to “kangaroo” for the first time. I was so happy and knew that every mother (and father) should have that feeling. I will never forget later that same day when Noelle and Tim received the EEG results that would change their lives forever. The doctors were saying there was still no brain activity. Still little hope. I will never forget going to their house that same night and sitting on her bed with friends and family and crying, eating candy and asking, “What happens now?”. I will never forget all of us heading back to the hospital that night to be with Finley. 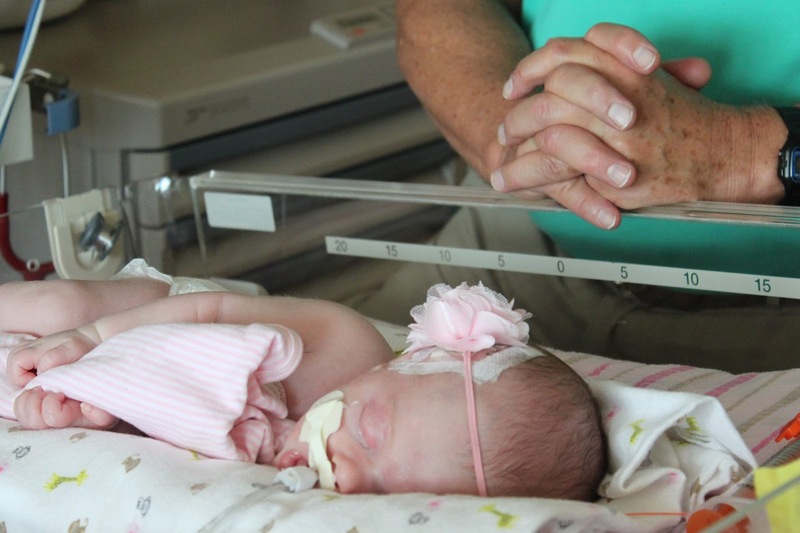 The NICU nurses let us all come back at one time instead of the customary 2 at a time and we prayed over her. I will never forget thinking that hallway to the NICU was the longest.walk.ever. I will never forget seeing these beautiful pictures taken by Noelle and Tim’s friends Cory and Mandi Callahan of CALLAHANPHOTO and hearing what a great time they had during the photo shoot. I will never forget the day Noelle called me to say that the end might not be too far away and that she would like me to be there when Finley passed if I could, along with family and a few other close friends. I will never forget walking into the hospital, Friday, August 16, 2013 knowing that my life, along with Tim and Noelle’s would be forever changed as we all walked out. I will never forget when the hospital worker came to get us all from the waiting room to go back to Finley’s room to say our final goodbyes. I will never forget the sheer pain we all felt watching Tim and Noelle watch their daughter pass away in their arms and the pure love expressed by Finley’s doctor and nurses as they cried right along with us. I will never forget when Noelle knew the moment Finley had passed and Dr. Wiswell checked her heartbeat, looked up and shook his head yes. I will never forget wanting to scream and punch something and wake up from the nightmare that was that moment. But most of all, I will never forget how peaceful Finley looked as I walked out of her room for the last time and thinking how blessed I was to have met a real angel. And although Mike and I will never forget the events of Finley’s life, we wanted to find a way to make sure Everett knows how special she is one day, too. I wrote him this letter in hopes that one day he will know and appreciate first hand just how precious life is. I want to tell you a story about an angel named Finley. 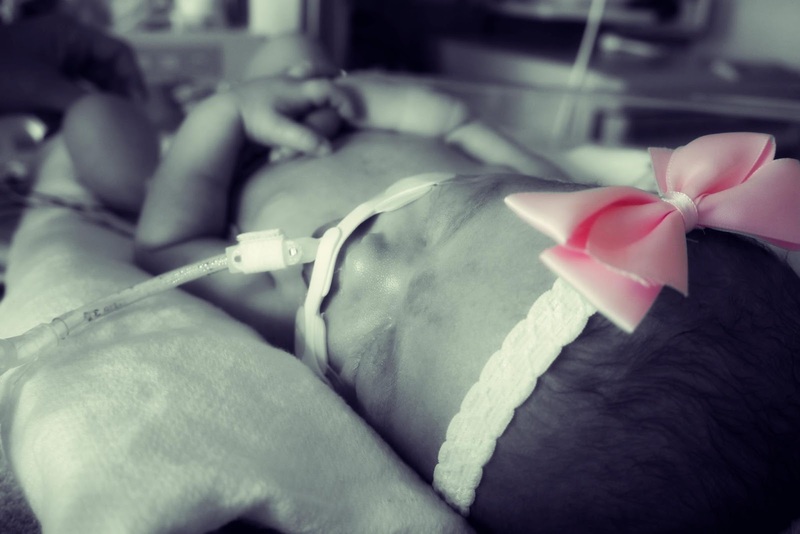 She was a beautiful baby girl who was born just a few months after you were. She was bigger than you when she was born (just about every baby we know was) and her mommy and daddy were in love with her from the start. She had a light dusting of brown hair and the cutest little sausage toes anyone had ever seen. Her eyes were a clear crystal blue, just like her mommy's, but instead of being wide open and full of wonder, Finley's eyes were closed. She was very sick when she was born and we were all so worried about her. She didn't sleep in a regular crib like you did, she had to sleep in a special bed with lots of wires, beeping noises and blinking lights. Her mommy and daddy just wanted to grab her up, kiss her face and rock her to sleep but they couldn't, and it broke their hearts. I got to meet her when she was one day old and I just melted when I saw her. She looked so peaceful and perfect. She reminded me so much of you and how you looked when you were teeny tiny.You and dad were there that day, too. You wore a onesie made just for Finley and cheered her on as you explored the hospital downstairs with dad while I was falling in love with that precious baby girl upstairs. I knew she was special from the start, but I just didn't realize how special she would become. 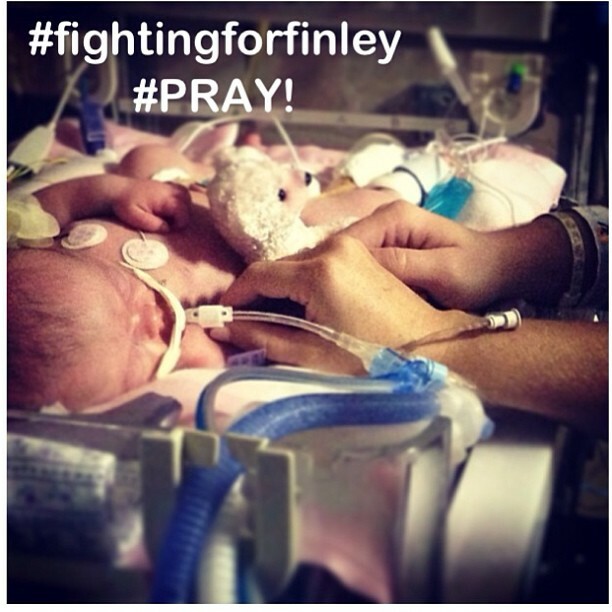 Baby Finley stayed in the hospital for a few weeks longer after that visit and although she was fighting her hardest, she didn't get any better. Her mommy and daddy did everything in their power to help her, but nothing seemed to work. She had an amazing doctor and precious nurses who loved her just as much as we did, but they couldn't help her either. One day, after weeks of sadness, Finley took one last breath and said goodbye to all of us. She went to sleep in her daddy's arms, holding her mommy's hand and was finally at peace. There would be no more poking or prodding, only dancing among the clouds like the beautiful ballerina that she was. I want you to know that Finley not only changed the whole world, she changed our world. She taught people how to love again. She taught me how to savor every minuscule moment and not to sweat the small stuff, because in the end it really is all small stuff, and she showed your daddy how lucky he is to have a baby boy as amazing as you. In honor of Finley, we promise to never take any moment with you for granted and will love you with every part of our being each and every day. Just like Finley's mommy and daddy loved her. First things first, Everett tried yogurt for the first time. His face was hilarious, but like all other foods, he loved it! My dad, Pops, and his wife Vicky, Mops, came to visit E and join us for dinner. We had a great time catching up, playing with Everett and eating delicious feast. After the little guy rolled around, chatted, ate and had bath time we put him down for the night and we then feasted on Filet Mignon with Balsamic Mushrooms and Onions, Strawberry Summer Salad, Loaded Baked Potatoes and a variety of cheesecake slices (ala The Cheesecake Factory). Sunday was spent beaching it up in Cocoa! We met up with our friends early in the morning (earlier than our norm) to start the day off right and eat breakfast at the beach. We stopped at Java and Juice and had a quick meal (E even ate his oatmeal with us) before heading to Publix to load up on subs and beverages. Once we got to the beach the clouds looked awful. We put our stuff down and about 5 minutes later the lifeguard informed us that they were going to close down the beach while the storm passed. We waited a few more minutes, left our beach gear in a pile on the sand and headed back to the car. Luckily we only had to wait about 3 minutes in the car before the very quick rainstorm passed. Then we were back out there! Our belongings hunkered down while we headed to the car – can you see the storm brewing in the distance??? After the short delay we were back out there and had beautiful weather for the remainder of the day! Our friend Hagen and her friend Amy also joined us and got some Everett love! E was so exhausted, but loved his “beach boppy” that Aunt Lynnie made him out of sand. Looks like he has a rough life. Hot sun and fun times! This week is still crazy busy as I get used to a new school year with a baby in daycare. I definitely don’t have as much time as I used to, but wouldn’t change it for the world. We are headed to visit family in Palm Coast and Palatka this weekend and can’t wait for a quick, but much needed get-a-way. Photo courtesy of Cory and Mandi Callahan. Hi all, I guess it’s not Menu Monday anymore when it’s already Tuesday! This past weekend was a bit of a blur since I have been getting ready for the new school year (and Mike was out of town for the weekend). Thank goodness my mom was down to lend a few extra hands. Yesterday was “Meet Your Teacher” and today marks the start of my 11th year. How in the heck did that happen??? Missing us – but having a great time. Taking the nurses treats while visiting Sweet Finley. Chillin’ in a grocery cart for the first time – he loved it. Sitting up (straight) all by himself! So big!